Let's Start Your Search Now! Save any listing in your account to your Favorites. By favoring a listing, you'll be notified when the status changes. Favorites only show listings you've selected, making it the ideal way to survey potential properties. Be the first one to know! When you register on our website you will be able to receive email alerts when a new property that matches your search criteria comes up for sale. It's FREE, and you can cancel at any time . 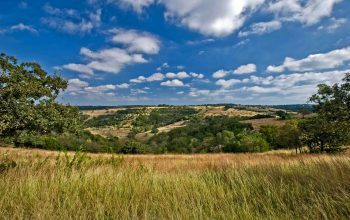 It was once said “There is no better investment in all the land, than the land itself…” From the grand scenery of the Texas Hill Country to the spectacular hunting lands of South Texas, owning a ranch offers many benefits. Whether you are a searching for a beautiful recreational getaway, or an investor who seeks the safety and returns of ranch ownership, we understand the ranch market and offer the largest selection of Texas land and ranches for sale, including waterfront properties, live water ranches, hunting land, farmland, recreational ranches and even luxury estates in Austin, San Antonio and surrounding cities. If you are seeking land for development, commercial use, ranchland, or a lot to build your dream home on, we have the resources, knowledge and experience to assist you from start to finish. We are committed to work hard and put in the time for our clients to insure success in finding and securing the right property. Through our website we provide our site visitors unlimited access to thousands of Texas Real Estate properties being offered in areas that include the Texas Hill Country, Central Texas, South Texas and West Texas. Many are finding their dreams come true by residing in one of the larger world class cities or in one of the many beautiful smaller towns or outlying areas close to Austin and San Antonio. Our knowledge of the housing market, subdivisions, and even builders if you decide to build can be a valuable asset to you in making your dream come true. Whether you’re looking for a home for sale in Central Texas, or ranchland for sale in the Texas Hill Country, we strive to make the buying process as easy and productive as possible so you find the right place. When we started looking for ranch in the Texas Hill Country, we didn’t realize how important it was to have someone like Harold Koehler by our side. His knowledge of the area and all available ranch properties on the market, along with understanding exactly what we were looking for, helped us to find one of the most beautiful live water ranches in the Hill Country. He was able to share our vision, and we could not be happier with our new ranch and soon to be retirement home. Oh yeah, our grandkids absolutely love it. It has been few months now since we moved in to our new house, and I can’t even express how thankful and grateful we are to Harold for helping us to find our dream home. From the beginning of when we just start looking for it and through the whole process of the negotiation and closing, having an honest and experienced real estate broker like Harold, made our home buying journey as easy as it could be. We love our house, the location and that gorgeous “Million Dollar” view from our backyard!